NZSM Big Band and Latin Ensembles with Rodger Fox – Capital Blues Inc.
We are pleased to welcome the NZ School of Music directed by Rodger Fox to Roomfulla Blues at Hotel Bristol on Thursday 11th October. 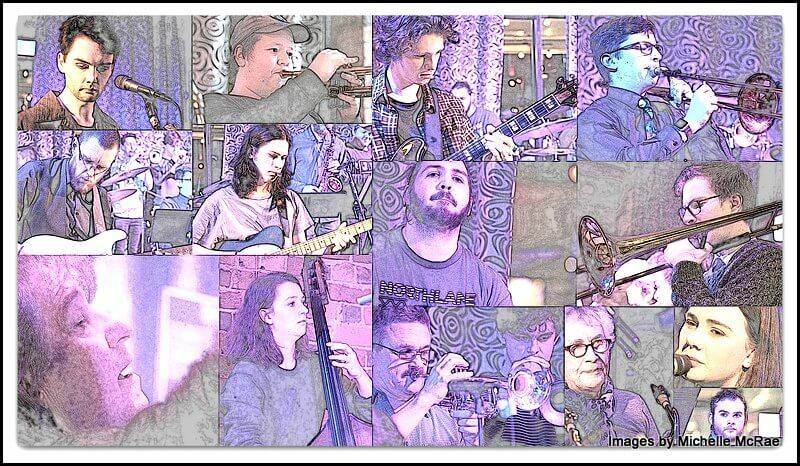 The gig will feature the the up and coming talent of the New Zealand Jazz / Fusion / Blues scene with NZSM Big Band One and Big Band Two and the Fusion Ensemble and Guitar Ensemble. Expect to be entertained with material from Tower of Power, Joe Cocker, Buddy Miles, Marcus Miller and the horn driven rock / funk / blues bands. Great fun all round, groovy tunes and every reason to dance! Rodger Fox is New Zealand’s foremost Jazz Trombonist, Big Band Leader, Rodger Fox Jazz Educator, Arranger, Producer and Lecturer at The New Zealand School of Music. He has performed in concert with some of the biggest names in the business, from the jazz and entertainment world, including Louie Bellson, Bill Reichenbach, Chuck Findley, Randy Crawford, Bobby Shew, Lanny Morgan, Bruce Paulson, Diane Schuur, Arturo Sandoval, David Clayton – Thomas, Joe Williams, The Four Tops – Temptations, Gary Grant, Jon Papenbrook, Bill Cunliffe, Holly Hofmann, Kevin Mahogany to name but a few.